Since 2015, the JPIOceans project “MiningImpact” has been investigating the ecological consequences of deep-sea mining and how the impacts can be mitigated, studying both, manganese nodule areas and simulated mining proxy experiments in the Pacific Ocean. The project was divided into two phases. The first phase, which has already been completed, provided substantial first insights into the expected longer-term effects of deep-sea mining. Now in the second phase, scientists want to independently conduct and comprehensively monitor the environmental impacts of an industrial component test in real-time. However, the first collector trial planned in parallel with the current cruise had to be delayed due to technical issues. 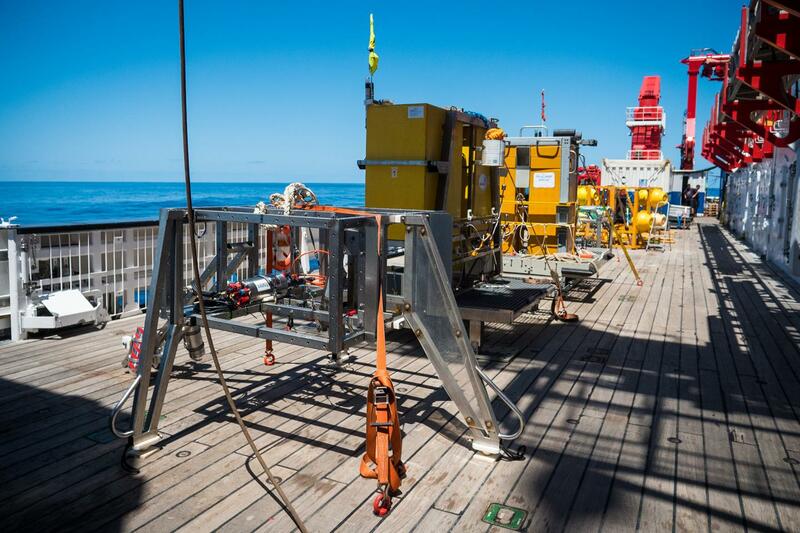 “Although this meant that we had to modify our work programme, there are still so many unanswered questions about deep-sea ecosystems that we can use this delay to our advantage for continued fundamental research”, Dr. Haeckel.